Hear My 2016 Holiday Mix, "Let It Snow!" 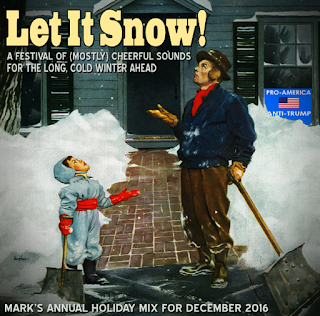 This year's holiday mix is ready and now available for streaming on my holiday music website under the tab titled "LATEST MIX." I posted it last evening along with a quickly written rant about the state of our nation and so forth, but don't worry. You can skip over all of that and simply stream the mix using thge button at the bottom of the page. I'll be traveling for work for most of the next several weeks and will therefore have little time to post right away. But I'll do what I can and try to stay focused on the tunes that appear on this year's collection. Stay strong, festive and hopeful, friends. There's lots of cheerful music to keep us going, and it's only a couple of quick clicks away! Labels: Blog Administration, Let It Snow! We're Still Here . . . and Back for 2016! oh yeah – another mix is on the way. I'm not sure exactly when it will be done, but hopefully on or about December 1. 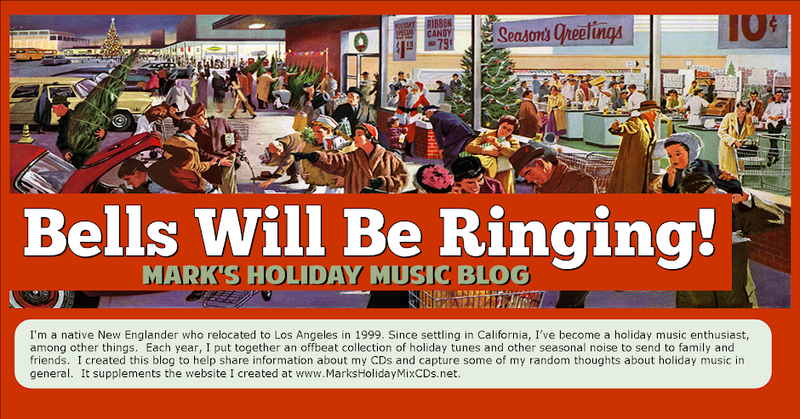 We'll try to follow the same procedures as usual, and I'm hoping to find a few good tunes to help create at least some small measure of holiday cheer. As crazy as things have become in recent days, we all could use it! 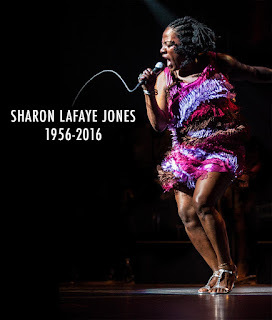 Sad news, Grammy nominated classic soul singer Sharon LaFaye Jones, whose work as lead singer for the Brooklyn-based group Sharon Jones and the Dap Kings helped kick-off a revival of the 1970s soul sound in recent years, passed away earlier today after a long battle with pancreatic cancer. She was 60 years old. Holiday music fans know Jones for the magical Christmas song she released several years ago, "There Ain't No Chimneys in the Projects." Jones began her recording career relatively late in life, releasing her first record at the age of 40. But after partnering with the Dap Kings, she took to the road repeatedly and built an ever-increasing following over the past several years. She was diagnosed with cancer in 2013, but Jones continued to record and perform whenever possible during periods of remission. "It's therapy,'' she said in July. "I know I need rest and sleep. But I want to work and that is our job. "You got to be brave. I want to use the time that I have. I don't want to spend it all laid up, wishing I had done that gig," she told Associated Press. If you're not familiar with her music, check it out on amazon.com. And if you haven't heard "Ain't No Chimneys in the Projects" — or even if you have — press the play button on the box below. 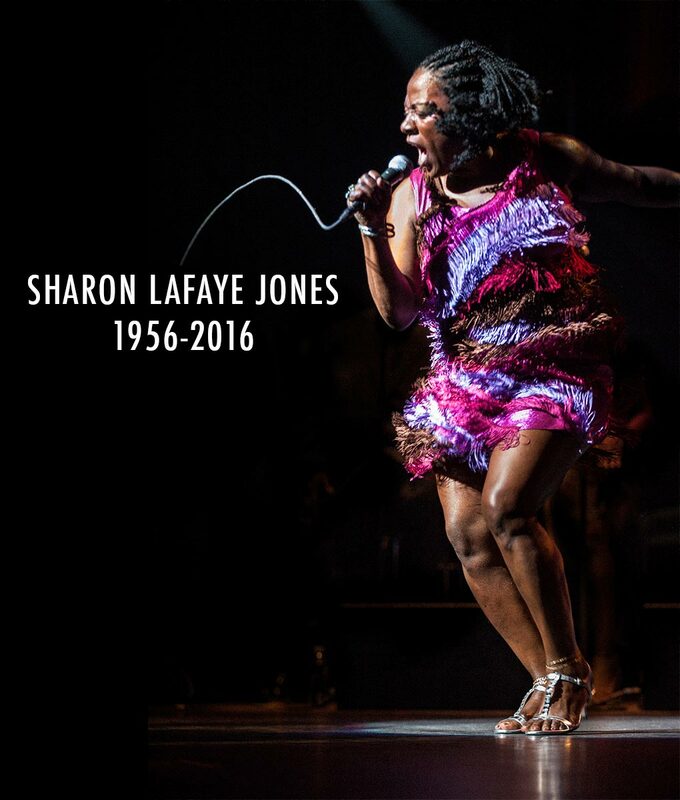 Sharon will be sorely missed.